Unique exterior elements include side vent badging and Gloss Black alloy wheels and a choice of three exterior colours. 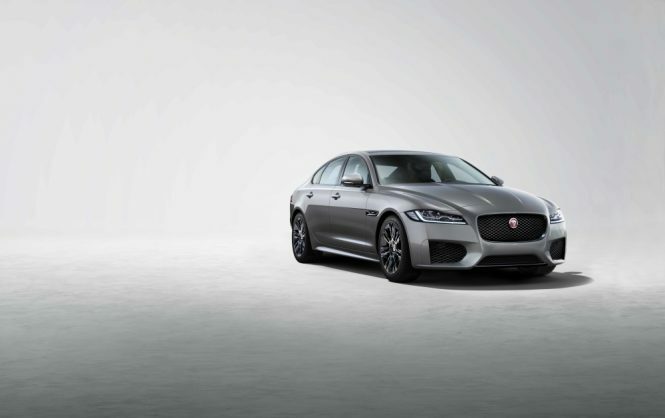 Jaguar has revealed new Chequered Flag special edition as part of the latest model year updates to the XF Sedan. The Jaguar XF’s lightweight construction and optimised driving dynamics deliver the ideal balance between ride and handling. All-Surface Progress Control enables smooth, effortless traction on low-grip surfaces, while Intelligent Driveline Dynamics deliver optimum performance and capability.